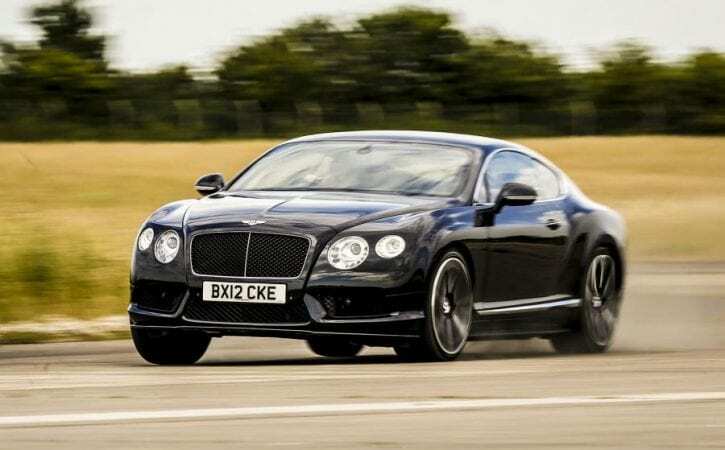 Our three-year-old pre-owned Conti GT V8 has been accumulating miles at an alarming rate. We’ve had it just four weeks and the mileage has already climbed from just over 21,000 when it left Bentley Birmingham (from whom the former owner bought another car) to 22,700. It’s one of those cars that simply eats distance. We picked it up in Crewe, drove back to London for meetings, then used it the next day for a London to Midlands return dash. That was 450 miles in the first 24 hours, right there. Even so, I’m surprised by the GT on dynamic grounds. My first impressions of Continentals were gathered during an early comparison of a GT W12 and an Aston DB9, a car we judged to be aiming at broadly the same buyers. The Bentley seemed heavy and unresponsive against the agile, road-hugging Aston, and its 6.0-litre engine was powerful but rather ‘buzzy’ beside the Aston’s V12. The GT moved on, yet I’m surprised by just how far. Bentley has been fanatical about development, and there’s now an intuitive sophistication built into everything the car does. Steering that seemed ponderous is now appropriately firm but pleasingly sensitive; a chassis that seemed reluctant to change direction now transmits your every desire to the road. The ride is quiet and flat in any of its four selectable modes. The outstanding element for me, though, is the engine. Like many, I viewed the twin-turbo 4.0 V8 as a kind of starter engine, not least because it is used in a motley line-up of lesser VW Group cars. But I was forgetting the Bentley fanaticism; Crewe has found a unique sound and tune for the V8 and put its power through a smart eightspeed automatic transmission. My abiding impression after this first 1600 miles is that this car’s performance and elastic torque simply feel too big for a 4.0-litre capacity, blown or not. The engine note in Sport is refined but sublime. In fact, all you really lack with a V8 are bragging rights. I’m happy to go without them.